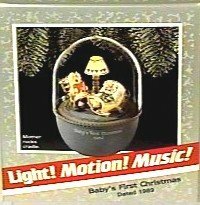 Hallmark Keepsake Magic Ornament Baby's First Christmas 1989 by Hallmark at Home Decor Outlet Store. Hurry! Limited time offer. Offer valid only while supplies last.